Vogue Crafts & Designs Pvt. Ltd.: Hair tricks every girl must know! Girls love there long hair so much that there are no compromises when it comes to the conditioning and shampooing of your hair. And why not? There’s no denying the confidence boost you get when you have a good hair day. And though it’s nice to get the occasional blowout, it’s not necessary all the time. We often forget that our hair also needs nourishment and there is no denying that you have to take care of your hair the same way you take care of your skin! Our hair also needs a lot of things to maintain their shine and health. Though genes also play a part, ladies with great manes also know a thing or two about maintenance. Here are certain things you should always do to keep your locks shiny and lush. People say woman with long hair are blessed but who knows that even they have to maintain their long shinny hair with certain tricks which she follows, let’s steal some tricks and apply on our hair to make them look amazing instantly! Keep rolling your finger to know more honey. Start working on your second day hair; be aware that you do not have to shampoo each day to look beautiful sometimes you can go without shampooing. Some hair styles look amazing on the second or third hair day which might even not know about. Shampooing your hair each day might take away all the moisture and nutrition from your hair. So, avoid as much as you can. Change your order of cleaning your hair! Get it conditioned first and then rinse it with shampoo. I know we always shampoo our hair first and then condition it but this time you need to change the order only. See the difference once you change your order of shampooing and conditioning. 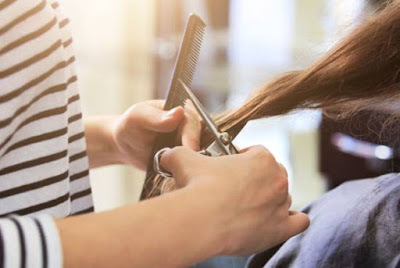 Do not forget to get your hair trimmed every two to three months, ask your stylists to snip off a half inch or less because hair grows faster than this, you won’t lose much length. If you put off trims for too long, split ends will form, which means you’ll have to chop off more in the long run. Between sweaty strands and our dry shampoo addiction, a bit of build up is inevitable which can clog hair follicles and hinder growth. Once a week, saturate a cotton ball with tea tree oil or toner and dab it onto your scalp to clear any debris. Shampoo and condition as usual. If you are pressing your hair, make sure that if you clamp down too hard with the plates, your hair will be so straight that it sticks to your head. First of all I would suggest you not to straight your hair too often. Do it only when it is very urgently required. Because straightening your hair often damages your hair and even prevents hair fall. 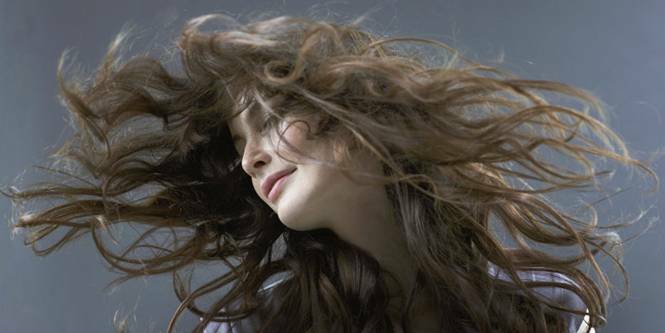 These are just few tricks which every girl who loves her hair which is most of us, I guess there would be no lady on the planet who hates her hair and does not want them to stay long and healthy! So, these tricks are for all you girls out there. Keep in mind these tricks always and remember what all you need to do strictly and what you have to avoid for long and healthy hair.